Mr. and Mrs. Vineet Gupta, of Vista, donated $10,000 to The Carlsbad Fire Department Foundation Scholarship Program. The donated funds will enable the Foundation to award vocational and collegiate scholarships to qualified dependents of Carlsbad Firefighters, and Paramedics, for the 2014-2015 school year. The mission of the Carlsbad Fire Department Foundation is to raise funds needed to enhance basic fire and rescue services, support public outreach, safety education and provide scholarships to dependents of our firefighters. 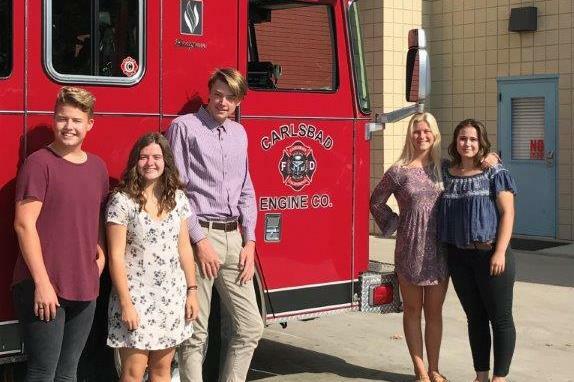 Donations to the Foundation’s Scholarship Fund can be made by mailing your tax deductible contribution to: The Carlsbad Fire Department Foundation, P.O. Box 235696, Encinitas, CA 92023-5696. Email info@carlsbadfdf.org for more information regarding the Carlsbad Fire Department Foundation. The Carlsbad Fire Department Foundation is a 501(c)(3) non-profit entity. United States Tax ID 461465877. All donations to the Foundation are tax deductible.